While GoPro has fallen from grace since going public nearly five years ago, Insta360 has been chipping away at their core customer. Alongside DJI, I worry that GoPro might have its lunch eaten. As I said before, GoPro faces a problem in that they sell users on the idea of being a cool surfer or a brave rock climber. In reality, we’re videoing our pets and our family. Since this could be done on a smartphone, GoPro doesn't have the edge. They need something special. A DJI drone or an Insta360 camera can shoot from perspectives no conventional camera can muster. Really, GoPro released their Fusion camera as an answer to this. The GoPro Hero 7’s built-in stabilization also brings something new to the table that users can tangibly see the value in. But is it too little, too late? GoPro’s stock has thankfully returned from its all-time low in 2018 due to a stellar holiday season. 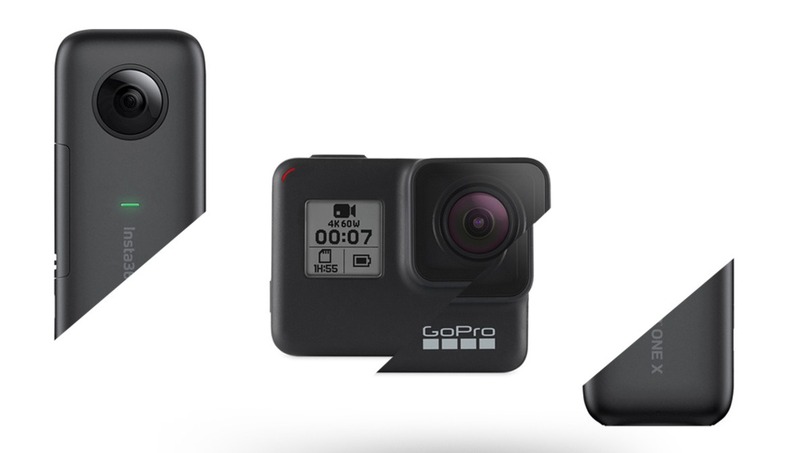 They’re also making just under a million a month from the GoPro Plus subscription, with 199,000 subscribers at $5 a each. This is great news, but it’s the first good news in a very long time. I’m concerned that it’s not sustainable. Let’s look over to Insta360 again. The $30m series C+ of funding they raised comes after a successful launch of their ONE X camera. Unfortunately, we don’t know what the company’s valuation is right now, but Bloomberg is also reporting a 2020 IPO. So we may find out soon. Coupled with the new information that they’ve been profitable since 2017, it’s looking like they’re far healthier than the competition. 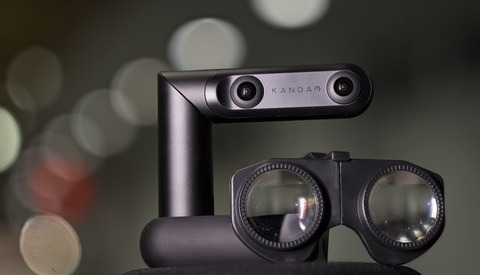 They also seem better positioned to grow with trends, like if immersive video becomes more commonplace. 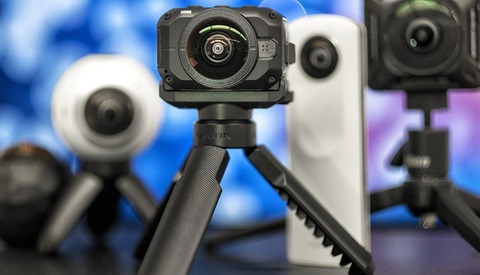 The Insta360 ONE X (left) and the Ricoh Theta Z1 (right). The Theta replaces an SD card slot with 19 GB storage and costs $600 more for the privilege. I hope its purported low-light capabilities are enough to sell it. Is this all good news for action camera fans? Well, that $30m will be spent on some cutting edge R&D that I’m told will “redefine the action camera category.” I’m excited, but I’ll wait to see what that means. 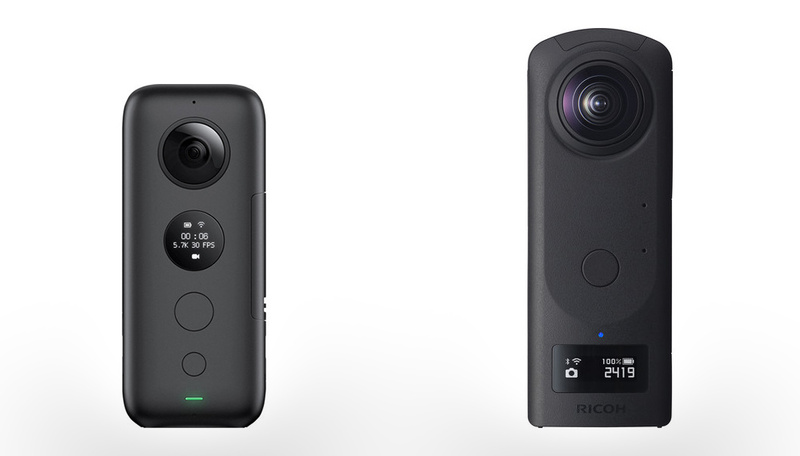 Insta360’s other competitor, Ricoh, released a $1,000 camera recently. In my honest opinion, it isn’t as consumer friendly as the $400 Insta360 ONE X and their suite of apps. I feel like if you want a 360 camera right now, you know where to turn (regardless of how popular VR is at the moment). GoPro? I’m not sure they know what their market wants, but it will be interesting to see where Insta360 is going. Is it the day of of dodgy article titles or something? Does insta360 have a forward facing action cam? I'll stick to the GoPro7 for now then. As for the 360 stuff, Sensor size on the ThetaZ could possibly trump them all. The Insta360 One X works *really well* now. It didn't at the time of our first review... but we've come to use it really often. Still, 360 cameras are very niche at the moment and I can't imagine how or why they'd want to IPO so quickly. 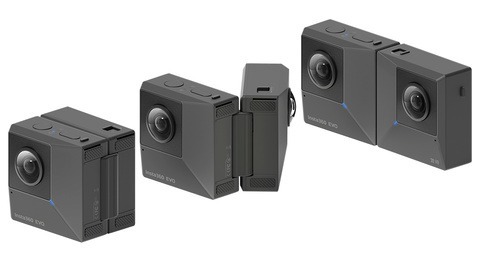 I'd be nervous about investing; if 360 footage actually becomes popular, Google, Apple, and Samsung will design it into their smartphones (just stick some cameras on the corners of the device) and crush the standalone 360 consumer camera industry like they did action cameras. I have an Insta360 One and am deeply disappointed with their proprietary image formats. You are stuck using their desktop software to open the files. The software is slow and it doesn't allow export to a non-proprietary format! Which means every image you take with their cameras are lost the day they stop supporting it or go out of business. Hey Steve! This is not quite though... All original Insta files from their mobile app or desktop app, or even with Adobe Premiere Pro, can be converted to non-proprietary .mp4 and .jpg formats. Cheers! You've repeated what I said -- the Insta360 One camera requires their proprietary software to convert their proprietary image formats to open standard image formats. Without their software, the images the camera shoots are unusable. Why can't the camera simply shoot .JPG or .PNG? Then I'm not constantly worrying that I have to convert every image I shoot or if they're going to discontinue the software or go out of business? Not if gopro makes a better insta camera. Who actually makes the insta 360 camera because for a first product it does look very well designed as if it has passed few generations already.